Many businesses across Lancaster and the surrounding areas trusted in our expertise to ensure their building is protected and safe from any threat of fire. For this project our engineers were contacted to the people of Grange Town Council to carry out a bespoke maintenance service of their fire alarms to ensure they were in working order for them. Using our advanced knowledge and understanding of the industry, our specialist team were able to walk them through the whole process to ensure they had total peace of mind. 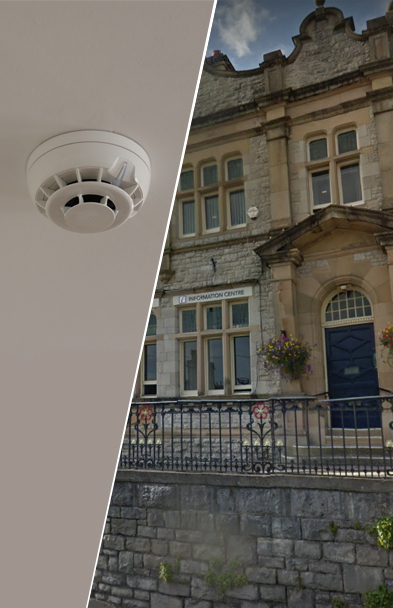 Want to know more about our the type of fire alarms we install, or any other service we specialise in across areas such as Lancaster, get in touch today.